Just popping in to say hello! It's been awhile since I've blogged. 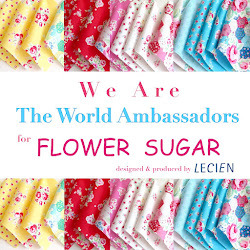 I'm doing some International Quilt Market sewing for Lecien Corporation. I've been working with this fabric line called, "Retro 30's Child Smile" which is due out in May. The prints and colors are so fun and happy! 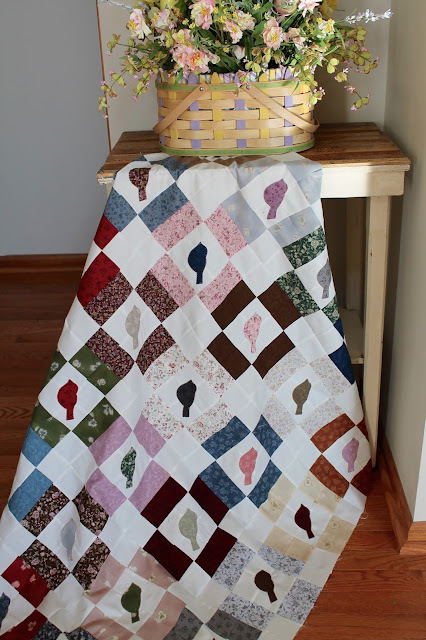 I'm recreating a vintage quilt that I own. It's been a pleasure to work on. The other fabric line Lecien sent for me to work with is called "Mrs. March's Antique Collection" also due out this spring. The colors are so different from what I normally work with and I loved it! This is going to be my first pattern release once I get it written up. It's called, "Songbird" and is very beginner friendly. Once this is quilted I'm going to do some embroidery on the birds. I also hope to be making a pattern for the vintage quilt as well. I hope you are having a happy day! Oh how fun! 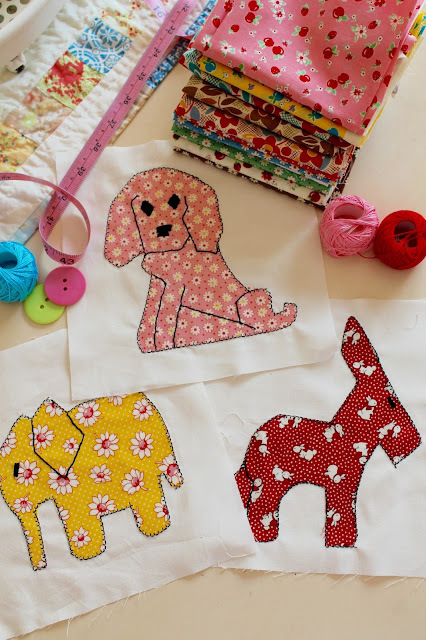 I love the little animals...it's going to be a charming quilt. You do such good work. Thanks for sharing. Both charming with such beautiful fabric. You are certainly one talented lady. Reading your blog is such a joy! I enjoy looking at your beautiful projects. Have a very Happy Easter! Oh I love those little animal blocks! Can't wait to see what you do with the birds!